More than a technology brand, Nokia India’s advertising journey has been about ‘Connecting People’. The only one time people probably adored snakes was when it appeared as one of our favourite games on Nokia 3310. Nokia, the brand has seen us grow from that 90s kid to entering the Gen Z race. Nokia has had an era of its own when it stood as the market leader until its dismissal in 2013 only to make a comeback in 2017 like no other. Away from all the sleek and ultra slim phones, Nokia’s black and white heavy-weight handsets gave us memories for a lifetime. It came, it conquered, it vanished and it came back again. 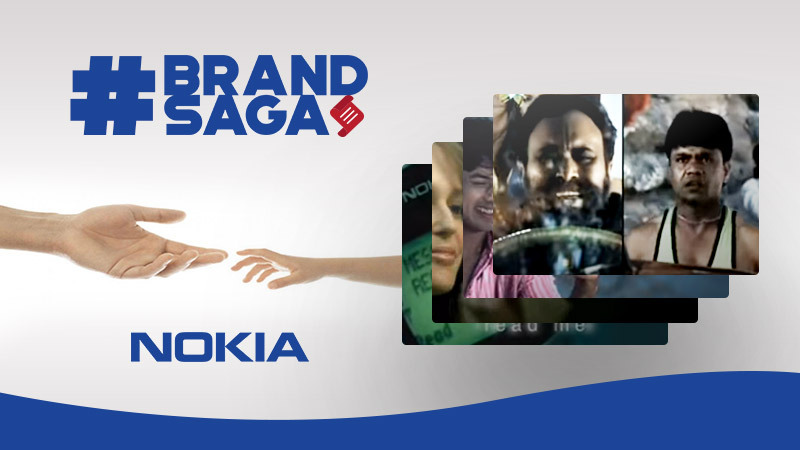 This week’s Brand Saga goes up, close and personal with Nokia’s India’s journey to glory. A year after India welcomed private organisations in the telecom sector and distributed cellular services licenses, Nokia grabbed the opportunity in 1995. The first phone call on a cellphone in India was made on a Nokia handset through Nokia network in July 1995 when Jyoti Basu, the then CM of West Bengal Chief had ringed then Union Telecom Minister Sukhram in New Delhi. 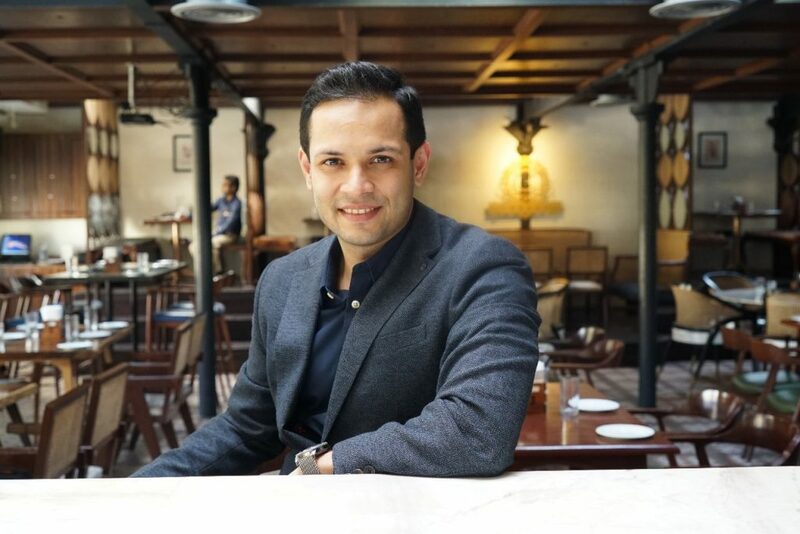 Rohan Mehta, CEO – Social Kinnect when quizzed about his fondest memories with the brand. Though we couldn’t get hold of the TVC, the very first time Nokia India had struck the right chord was when it rolled out its very first ‘Maa’ commercial in 1997 urging people to buy mobile phones to give their dear mom a call , and thus the journey to be a ‘People’s Brand and ‘Connecting People’ was kicked off. At this time, major brands were aiming to integrate ‘patriotism’ in their products; Nokia in 1998 touched millions of Indian hearts when it launched ‘Saare Jahan Se Acha’ ringtone on a Nokia 5110 handset. Prior to this, it had already garnered a massive fan following for its classic Snake game. Nokia ’s many moves like introducing the first phone with a user menu in Hindi in 2000 to launching its first Made in India Nokia 1100 showed its affinity towards the country and its apt sense of understanding market sentiments. Nokia 1100 is the best selling phone yet, selling over 250 million devices. At its peak, the company sold 475 Million devices back in 2008. Nokia- Straighten Up showed the world the importance of a speaker phone and Nokia got to be the problem solver. Another one communicating a similar feature took an emotional route to portray the bond that connects a man with his entire family. In 2007, Nokia roped in JWT (Now Wundermann Thompson) to handle it’s creative account and also worked with several smaller agencies during the course. Nokia’s advertising strategy had a mass appeal and kept the middle class happy because it was now able to afford the luxury of the elite class. Seeing India’s increased interest into Nokia Phones and the vibrant market, the company announced global launch of Nokia Asha – the device which was specially curated for ‘Bharat Ki Janta’. The commercials added a hefty dose of youth and fun. According to research agency ORG Gfk, Nokia’s market share, as of February 2006, was a staggering 78.8 per cent. Relatively, Samsung’s was 6.4 per cent. Nokia had started facing the heat of the competition. To counter it, the company roped in Bollywood superstars like Shah Rukh Khan and Priyanka Chopra. King Khan’s association with Nokia has been a long standing one. We still cant forget his face when his Nokia Lumia 920 was unabashedly thrown into a river from the train by Minamma’s brothers. The brand leveraged the popularity of SRK so much that Nokia was also the official partner of his IPL team Kolkata Knight Riders. A solid advertising strategy could be part of the answer. Nokia India , in 2008, took upon itself to take care of e-waste management in the country. According to DownToEarth, after the pilot campaign, Nokia launched its “Planet Ke Rakhwale” take-back and recycling campaign in September 2009, which extended pan India. An intensive media campaign was undertaken on TV, radio and print, featuring the Shahrukh Khan. The campaign aimed to inspire young minds and spread the recycling message. The film won Effies Gold, NDTV Greenies and an internal Nokia award in Finland. According to Voice and Data, Nokia dropped a rank to be placed at number two behind Samsung during the last financial year with a 27.2% market share with a significant 18% drop in revenue. In September 2013, Microsoft announced its purchase of the Mobile Devices division of Nokia, which included a selection of patents and trademarks such as Lumia and Asha. Nokia kept its Networks and Services and Advanced Technologies divisions as well as it’s brand, but its future as a smartphone manufacturer remained completely uncertain. The report cited that Nokia’s drop in market share (in India) started when the company failed to sense the need of a dual-SIM phone. Nokia’s choice to go with Microsoft Windows software for its smartphones, rather than Google’s Android platform, left potential customers with too little choice. Nokia’s Lumia series phones, which witnessed huge growth globally in the initial phases after its launch, did not draw much attention in India. Nokia claims to have attained leadership in the segment, on the back of a more intuitive and user-friendly product. It also introduced ‘Funny Pammi Aunty’ . Directed by Bauddhayan Mukherji (Buddy), the film had 1.6 million YouTube hits within the first 3 weeks. As promised, Nokia in 2017 was ready to hit the market and what better to drive nostalgia by throwing snake challenge. Nokia relaunched its iconic 3310 phone in the market and with it rolled out a #MakeSnake challenge. OLA! Olacabs Since you believe in sharing rides, why not join the ride and take the #MakeSnake Challenge? Are you game to hiss your way to the top of the challenge? Reviving the ‘Maa’ bond it created with it’s very first campaign in India, Nokia returned to the market after a gap of two years with a newer version, titled, Mom’s Bothie’ and #UniteForLove for Nokia 8. Conceptualised by Dentsu One and directed by Amit Sharma of Chrome Pictures, #UniteFor series was launched around Diwali and aimed at re-connecting people. 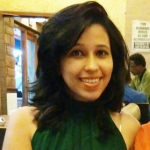 “We thought it was important that a brand that showed all of us the way to connect, could also remind us that technology has the power to both unite as well as make people feel disconnected,” shared Jyotsna Makkar, head of marketing, HMD Global (India). “A lot of international brands were involved in taking Indian habits closer to the evolving globalist culture. One of these brands is Nokia – they were instrumental in introducing the mobile phone to the subcontinent. 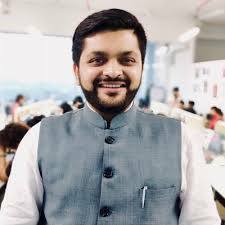 The first phone that most people in this nation used after their landline, was a Nokia,” shared Shrenik Gandhi, Chief Executive Officer and Co-Founder, White Rivers Media. 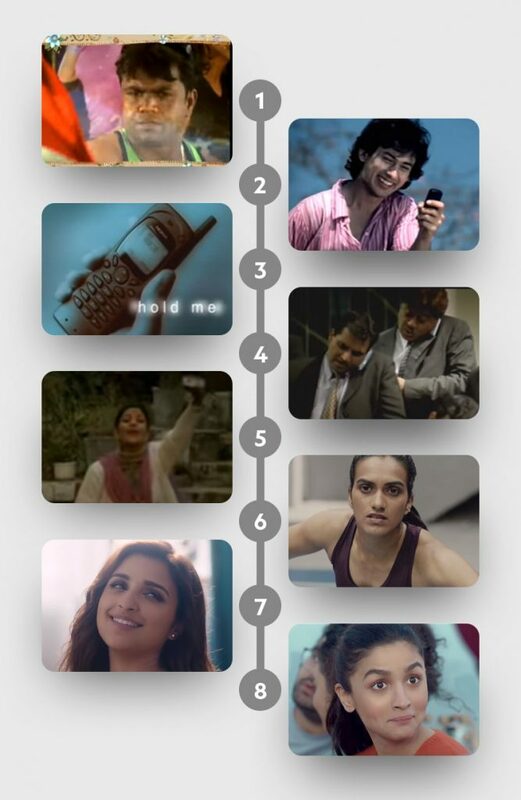 To launch it’s second Diwali campaign, Nokia roped in Alia Bhatt owing to her strong connection with today’s generation who are multi-dimensional, multi-faceted, multi-achievers. The key thought behind the film was that Nokia phones are not just restricted to a particular category of audiences but it is for all. ‘Your Wish Is My App’ – Nokia India has been successful in keeping the buzz on in the digital verse. Our #Knights are ready and so are we!